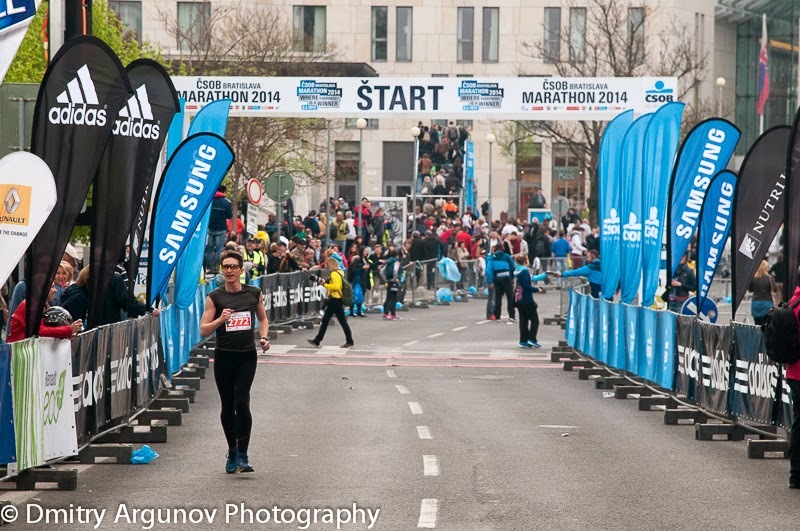 Bratislava, Slovak Republic, April 6, 2014. 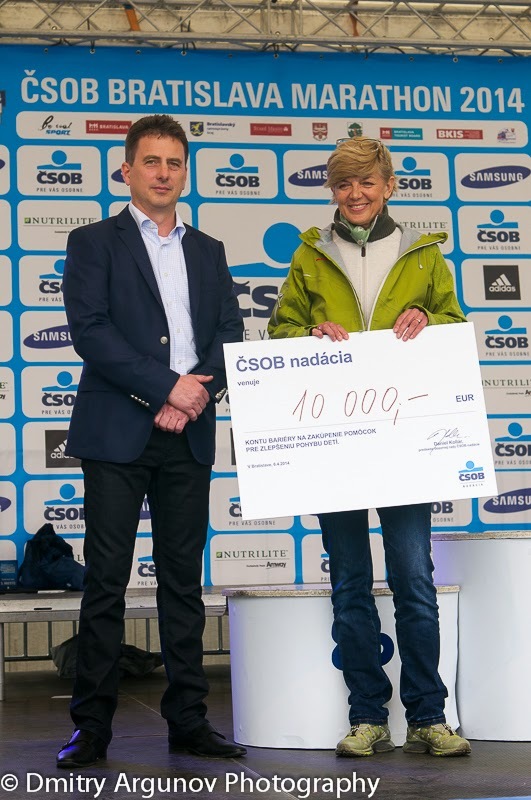 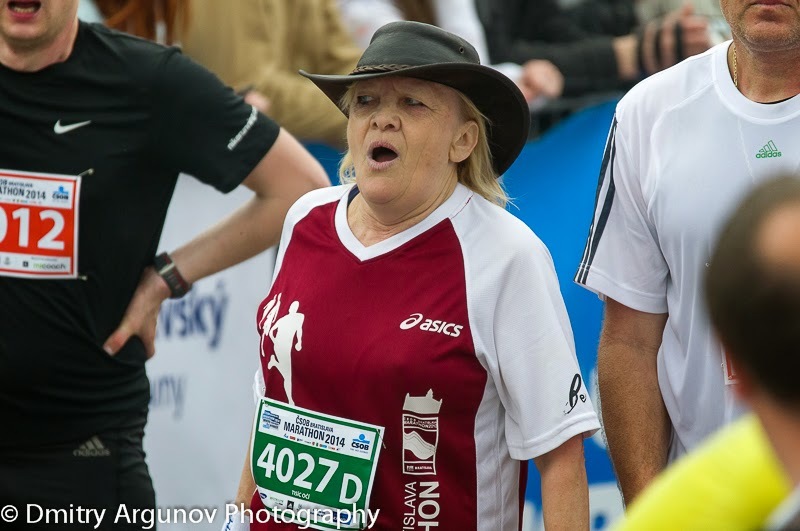 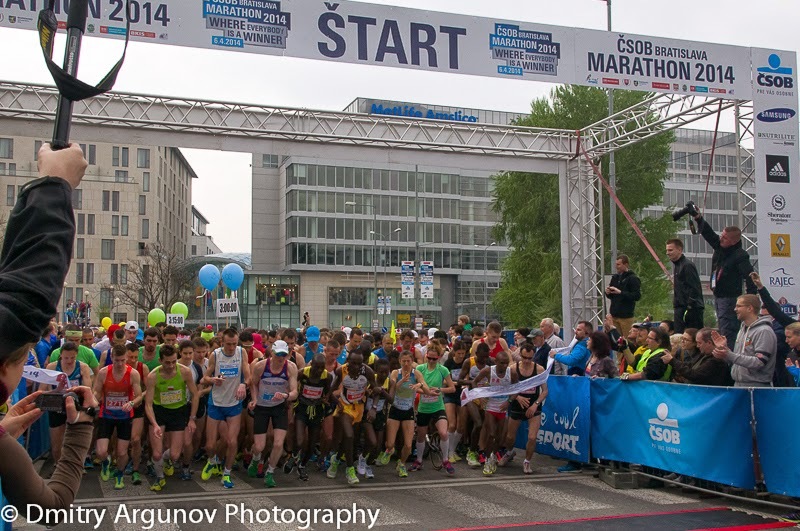 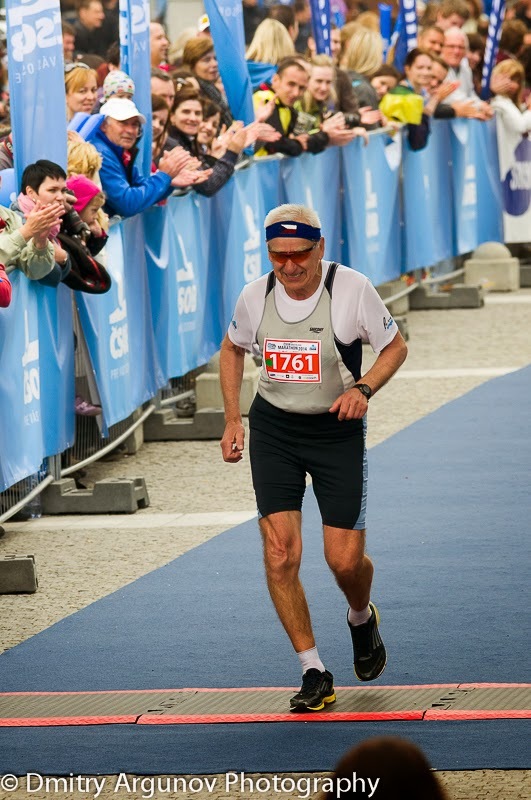 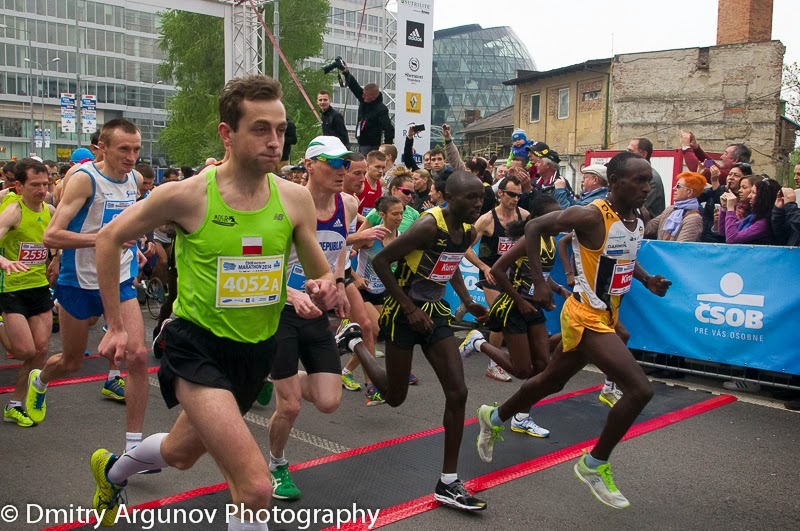 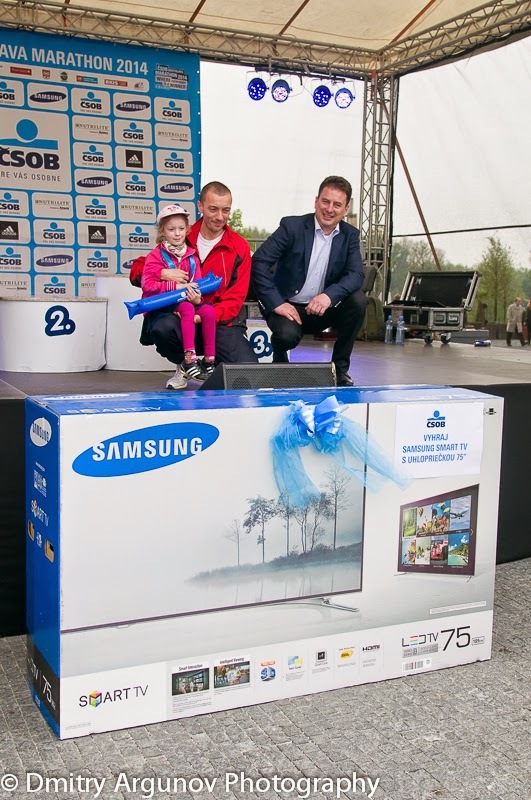 The ninth CSOB Bratislava Marathon was held in Bratislava, the metropoly of the Slovak Republic. 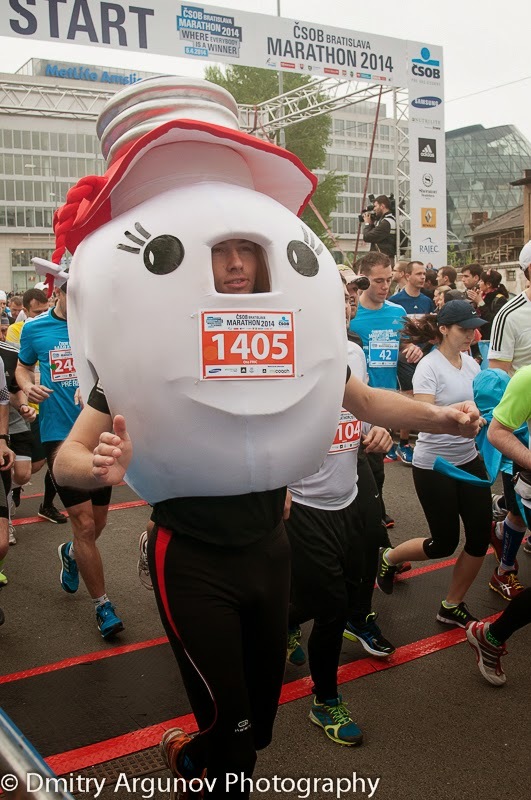 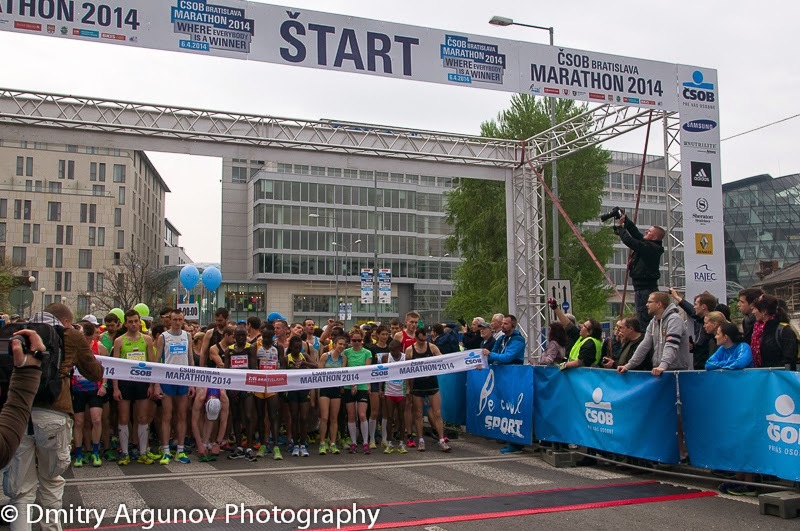 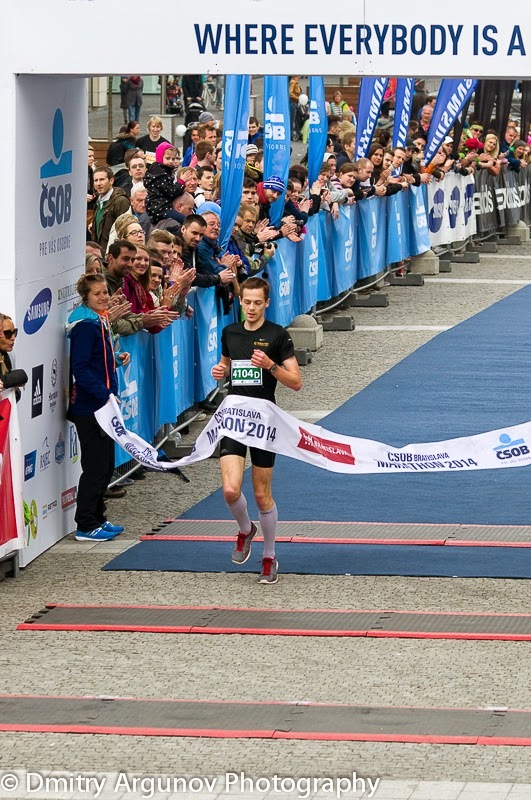 Today the great fiesta of the Btratislava Marathon 2014 was concluded by the main starts of the event. 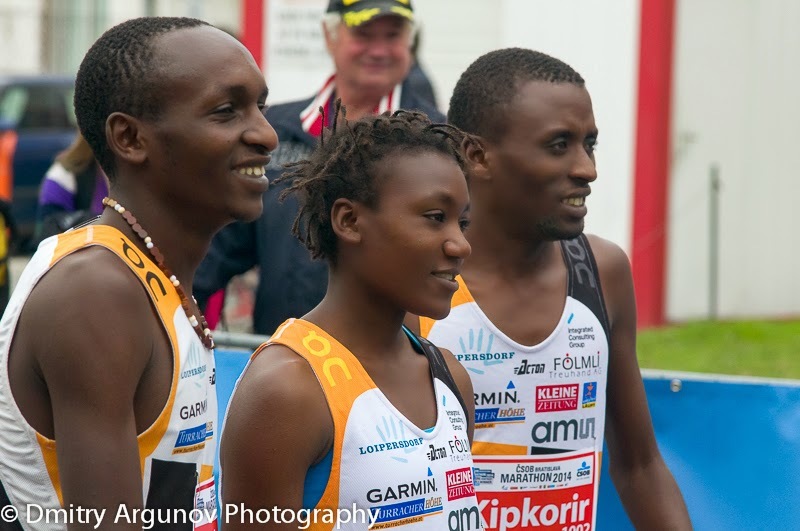 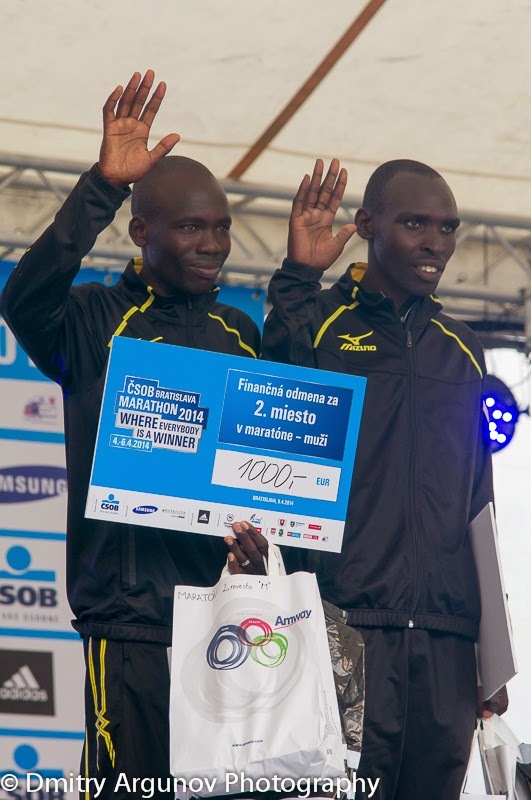 Of course, runners from Kenia were in the center of attention. 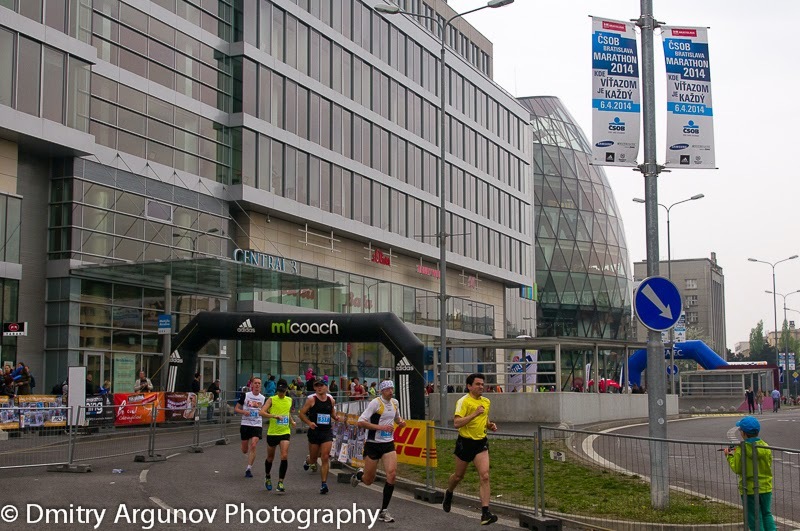 More than 8 thousand people took part in marathon, half-marathon and 4x5000 relay. 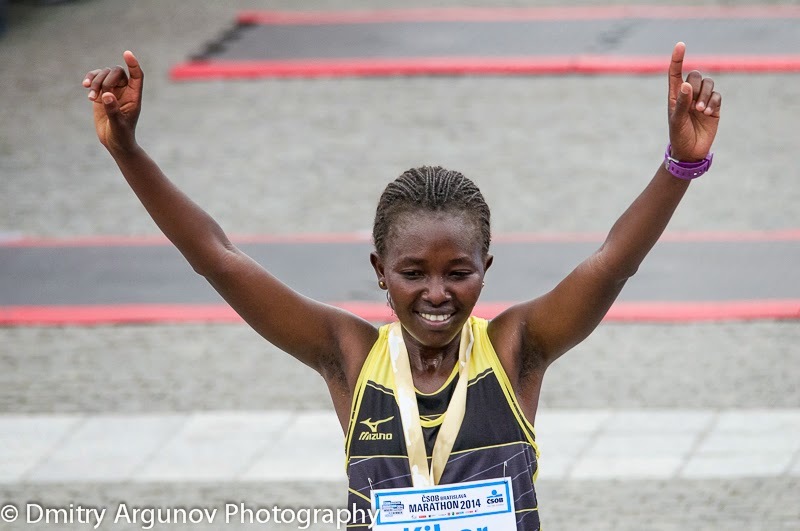 The future marathon winner catched a leadership already from the first steps. 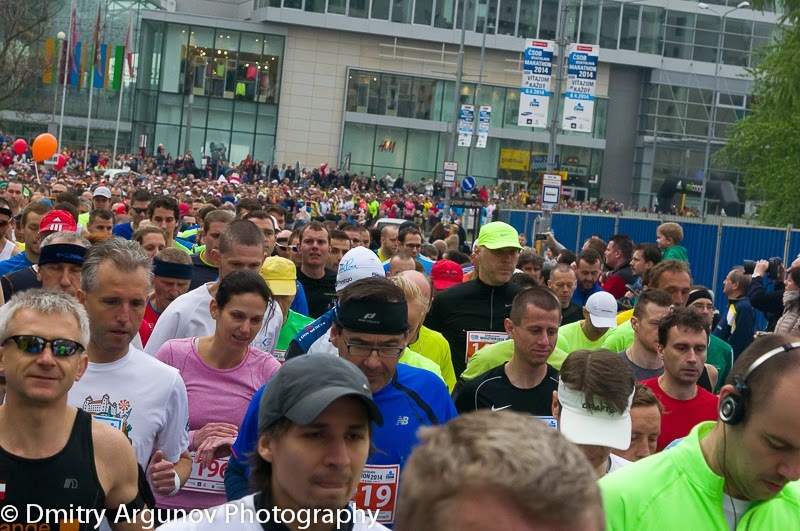 As I noted above, a huge number of people started today to cover kilometers of distance. 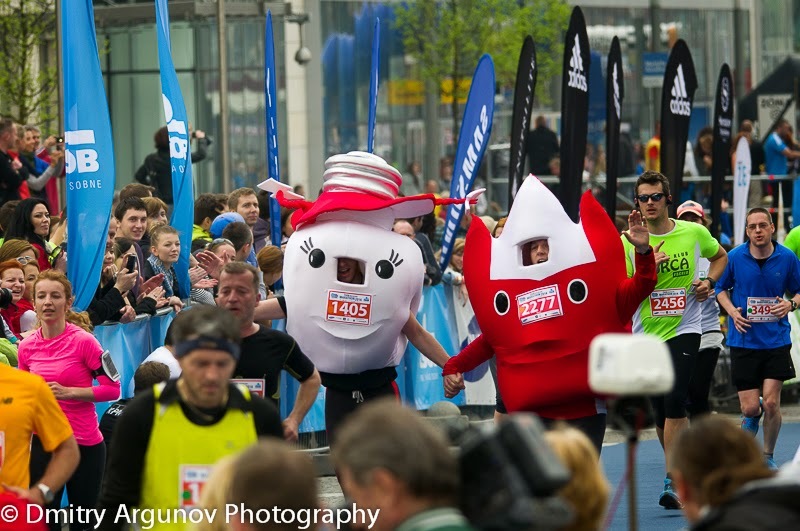 And while some of them made it with fun. 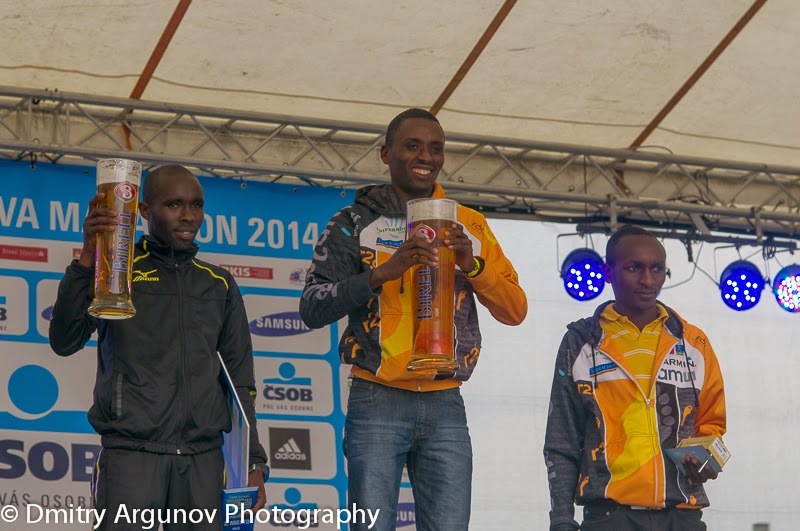 Kenia's sportsmen are hard to beat on long-run distances. 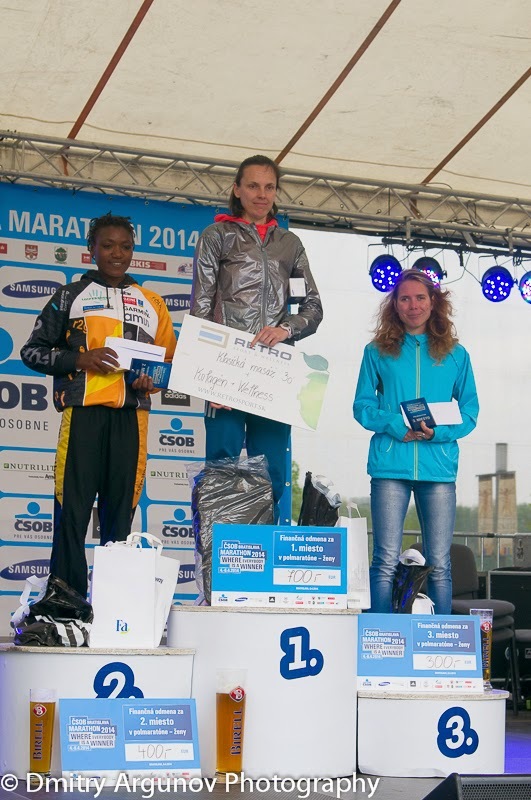 SO it was not surprise that all three medals of half-marathon were occuped by gays from this Afrikan country. 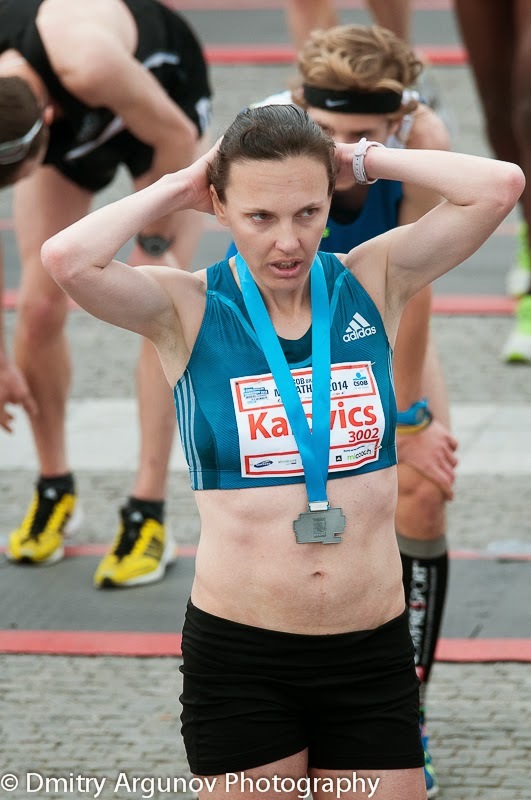 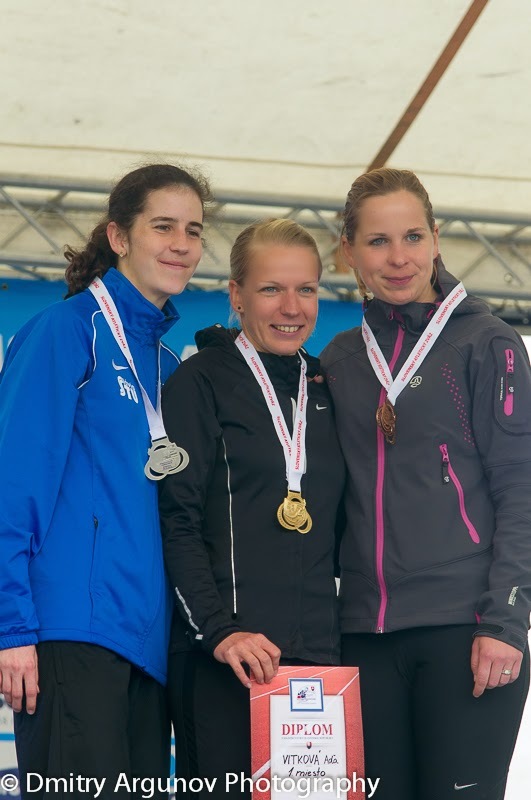 Surprisingly hegemony of Kenian was broken in women halfmarathon by fantastic Aniko Kalovics from Hungary. 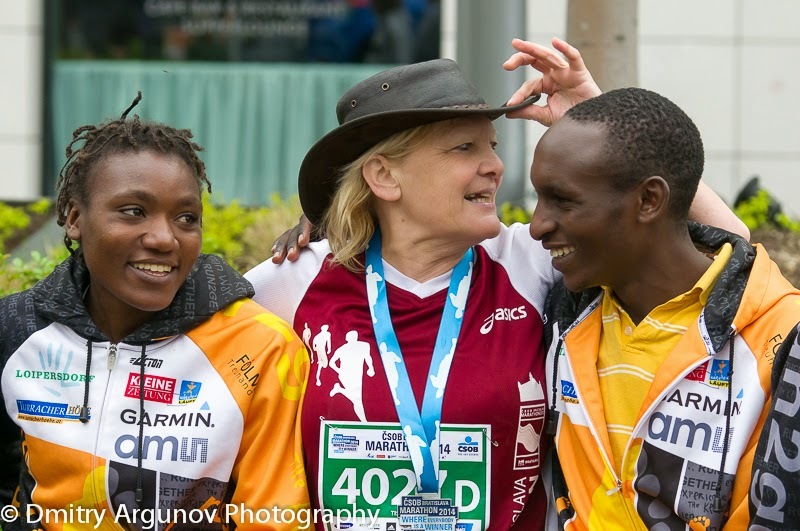 Babies, grandmothers and merry aliens altogether finished one by one. 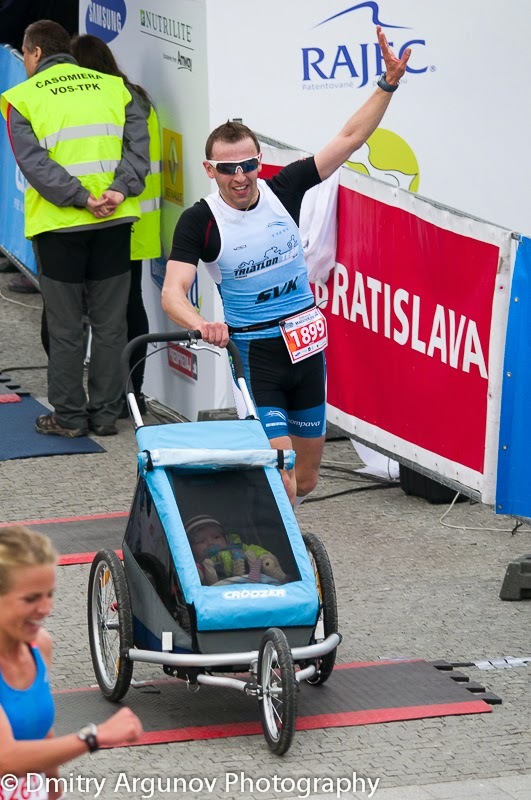 Still doesn't walk but already run! 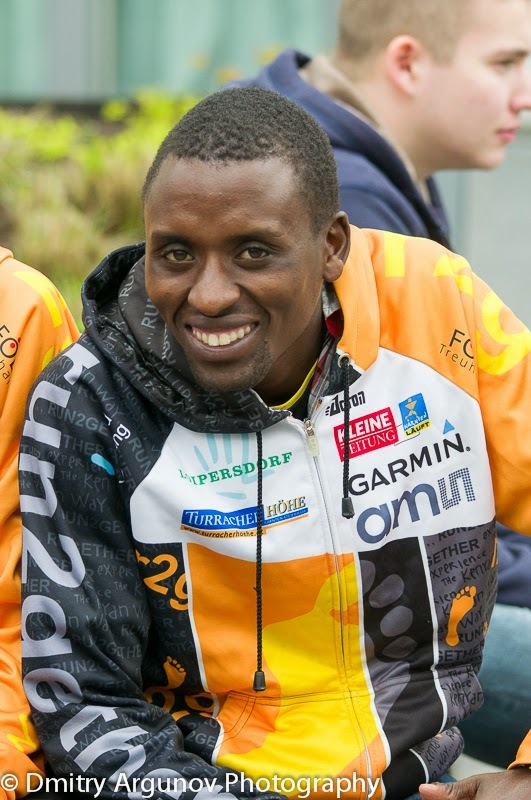 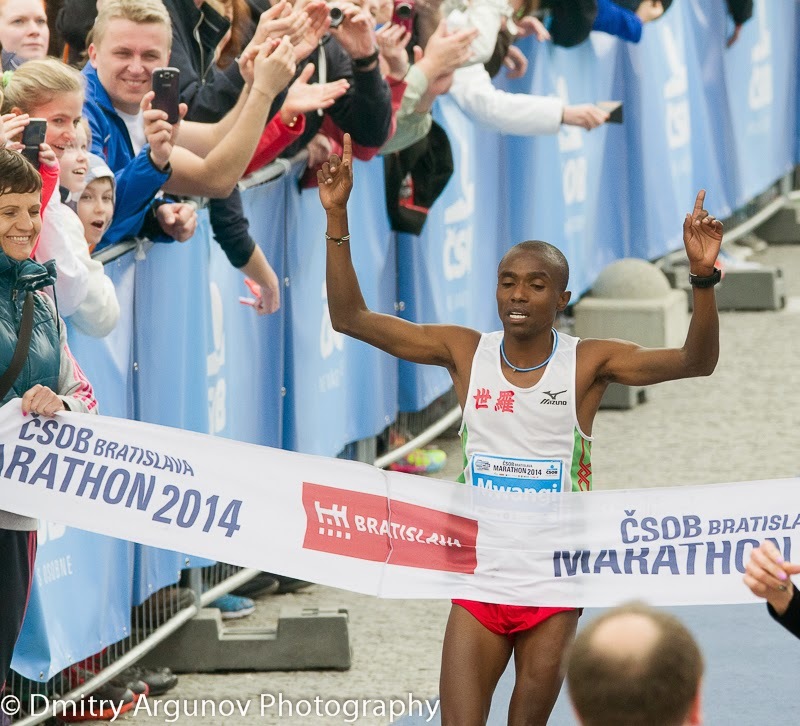 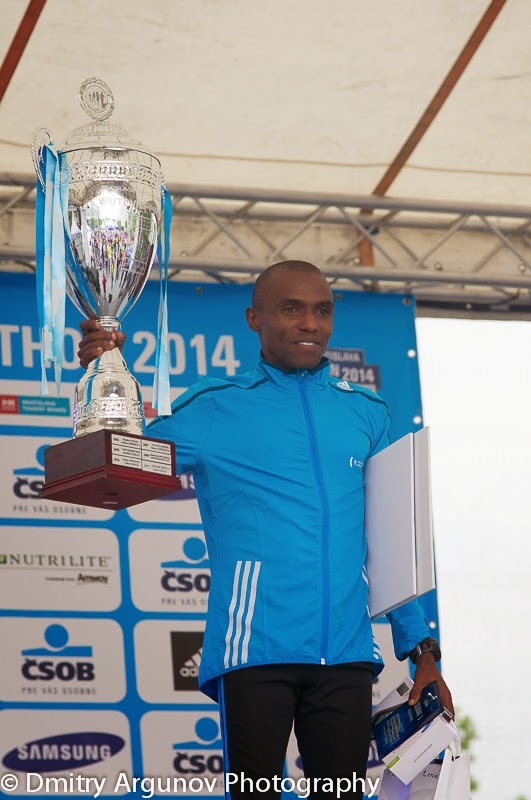 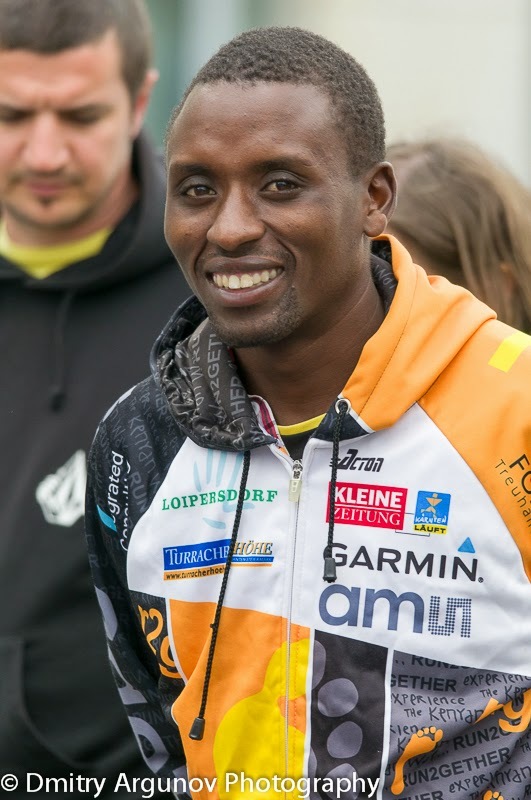 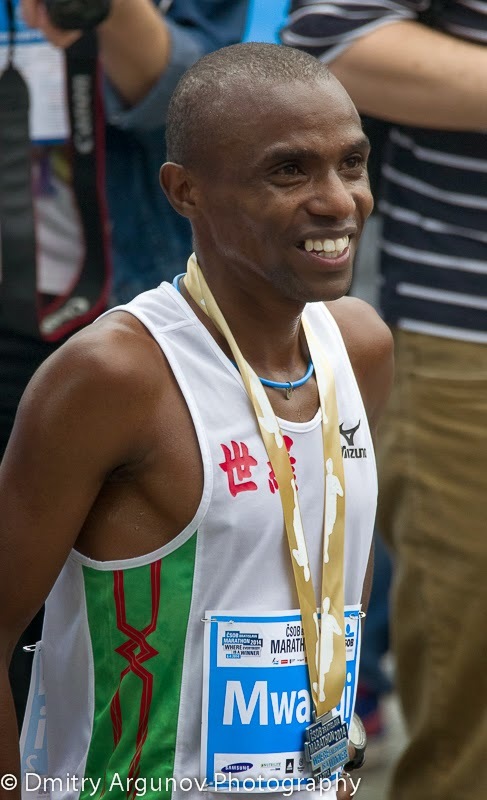 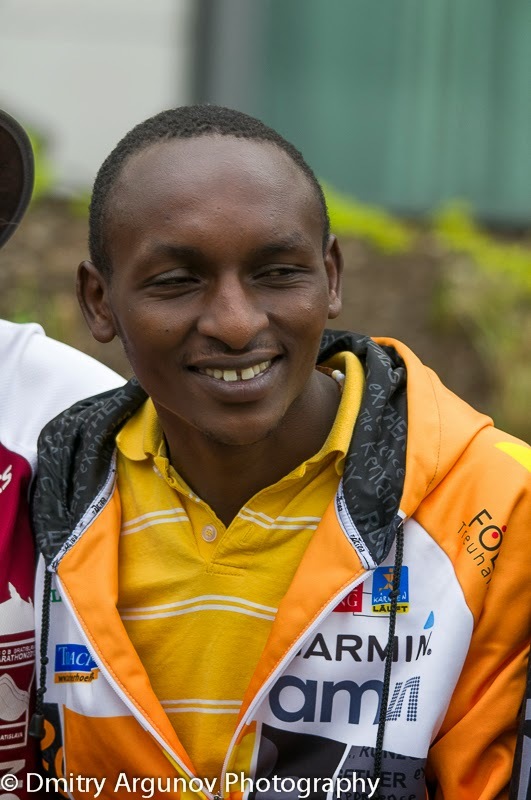 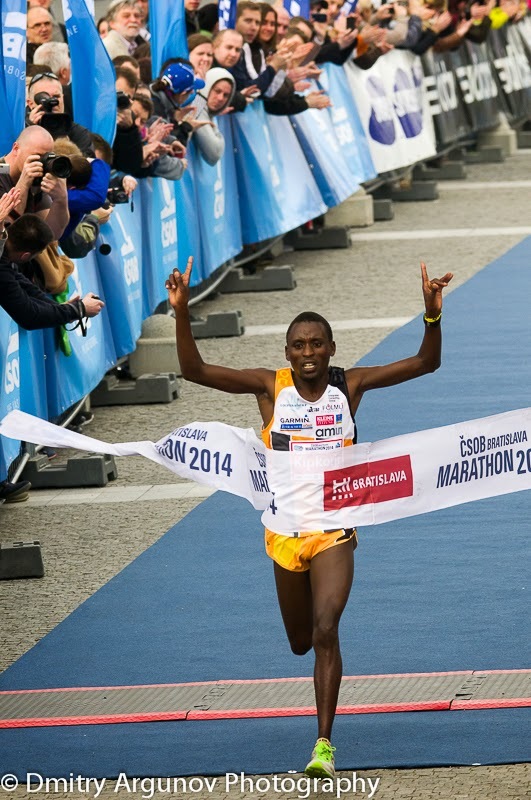 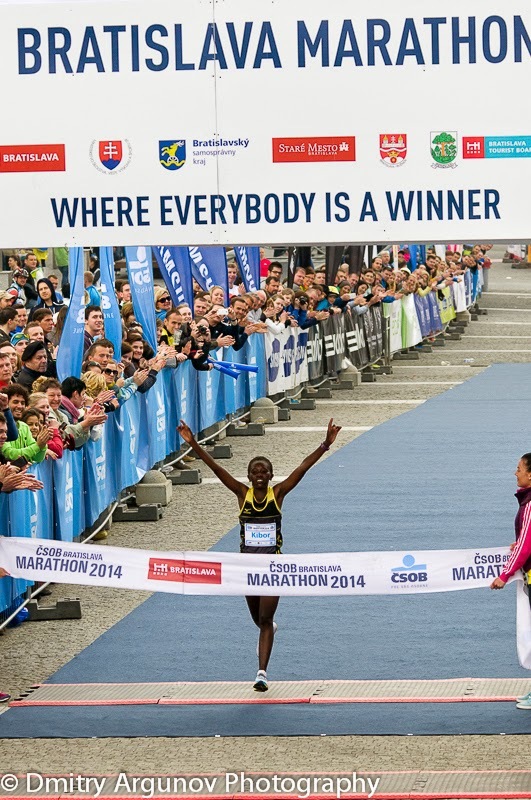 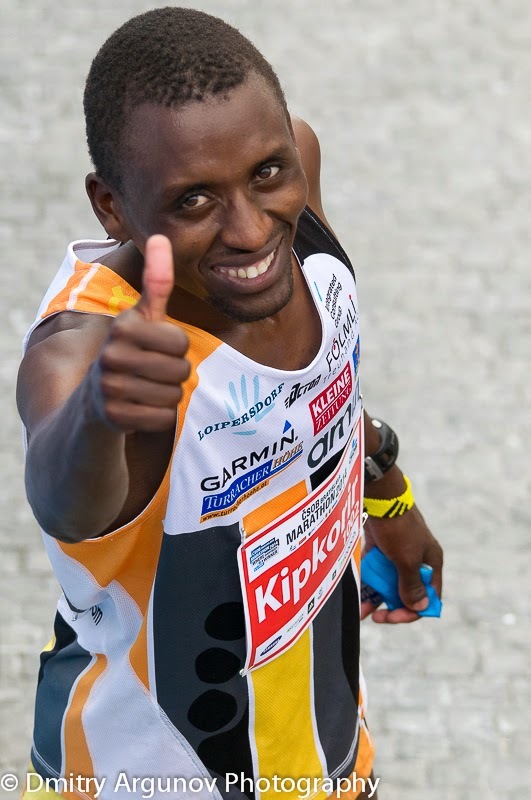 Joil Maina Mwangi from Kenia won the marathon with new track record, the second this great day! 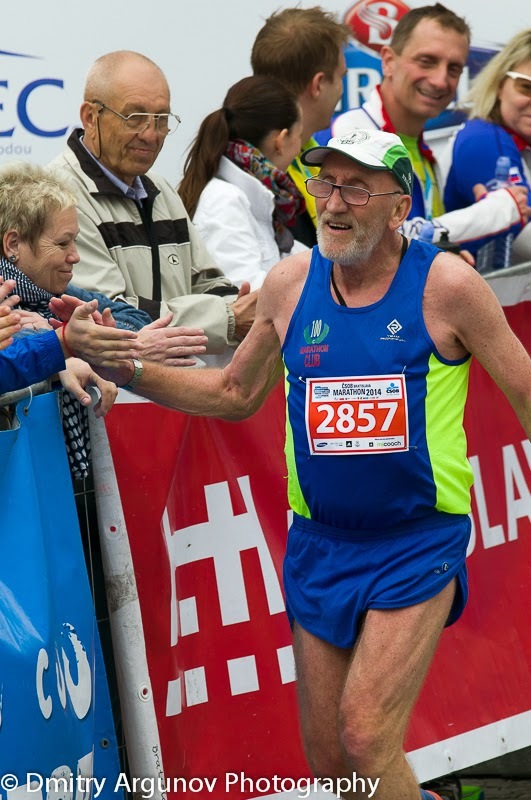 Older sportsmen do not felt behind. 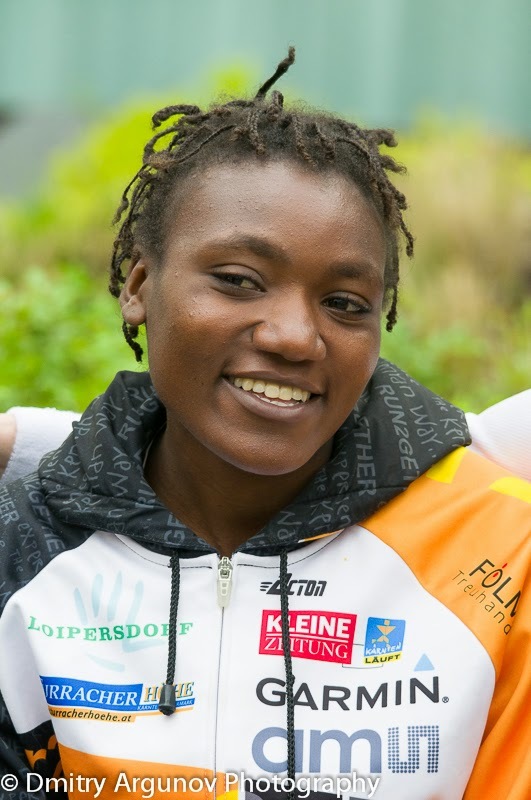 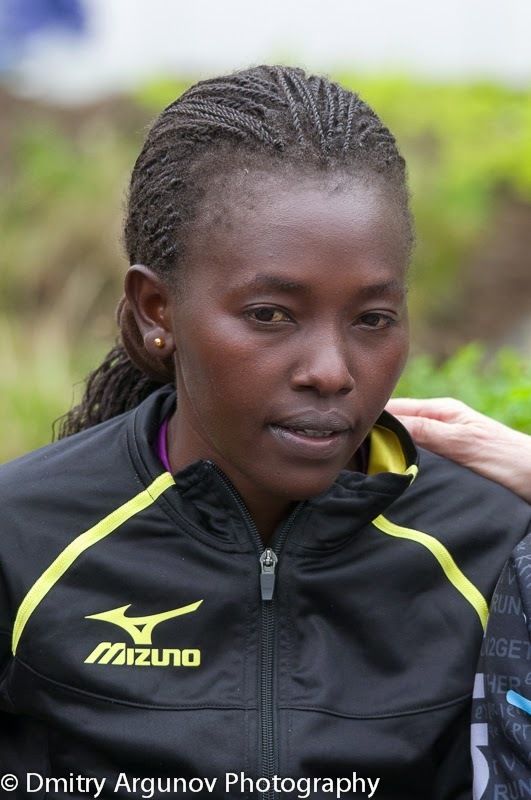 Only 0.14 of second missed Alice Jepkemboi Kibor to reach new track record. 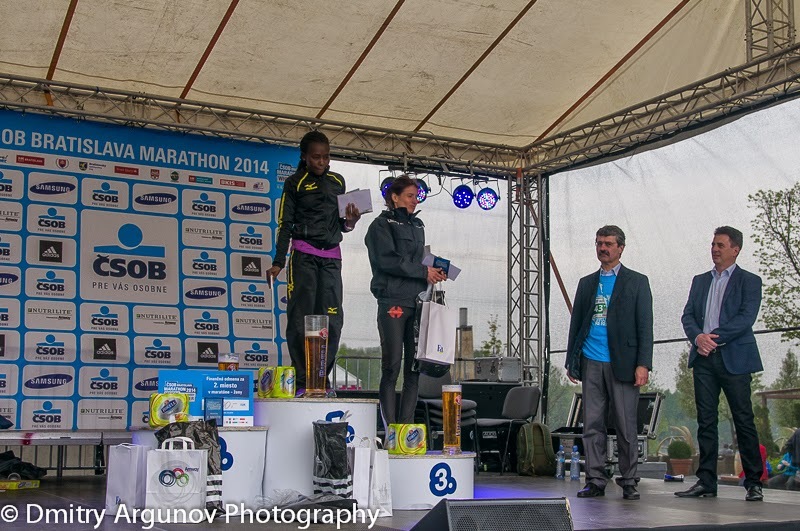 In any case her finish was just amazing! 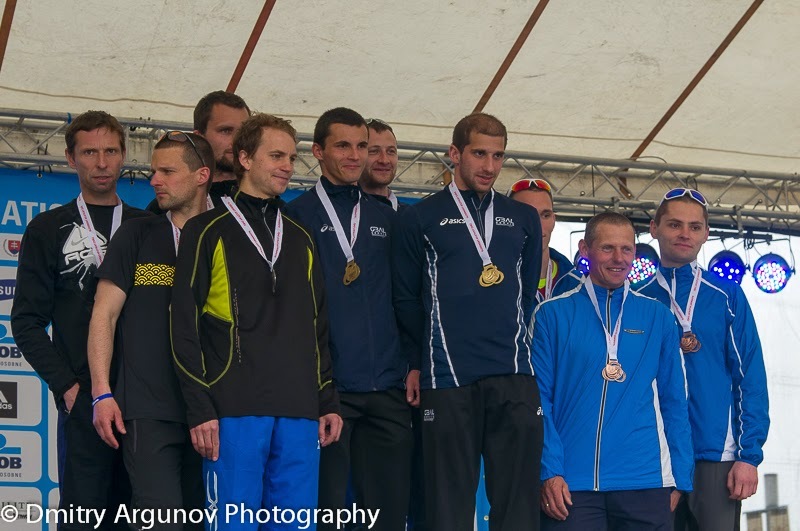 The previous day champions were noted among faces. 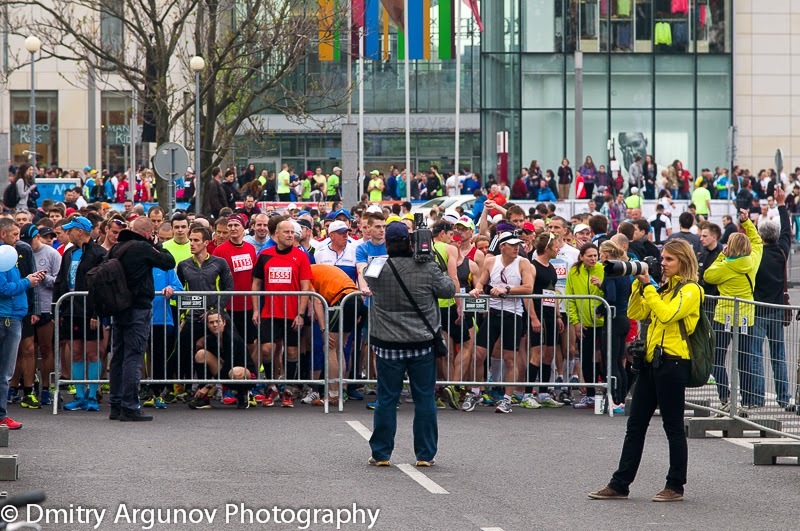 Kenian sportsmen were in the center of universal attention and after the finish. 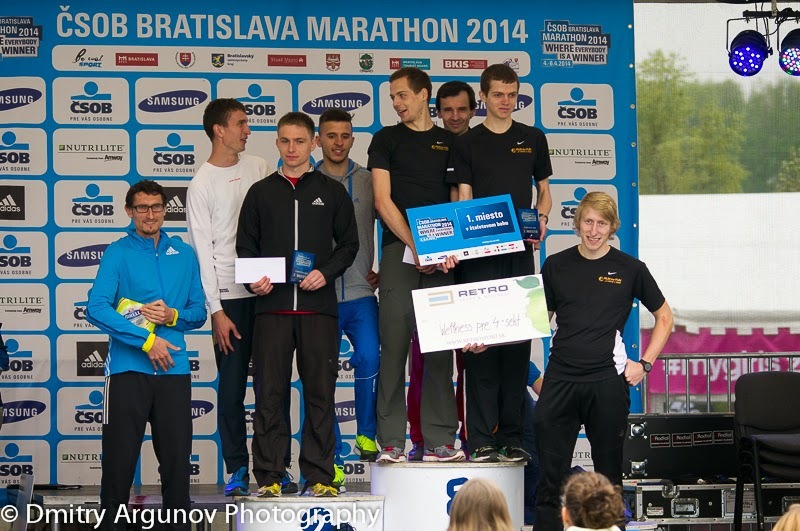 Bratislava's mayor, Mr. Milan Ftachnik also took part in the run. 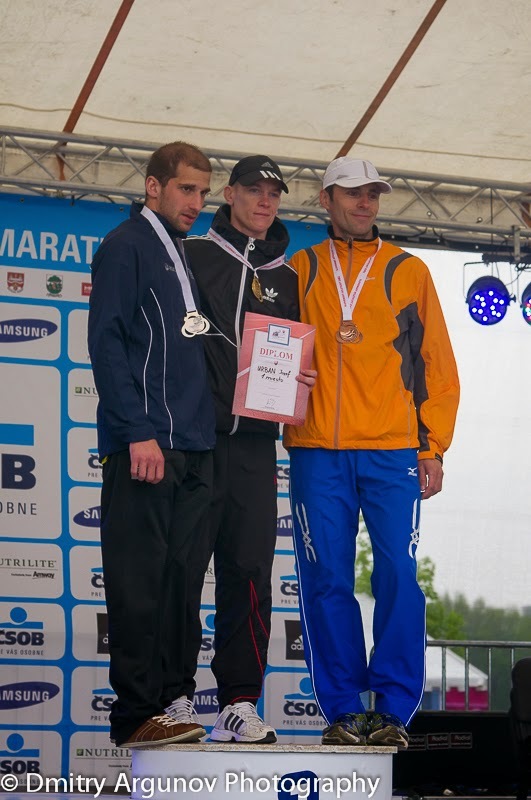 April 6, 2014. 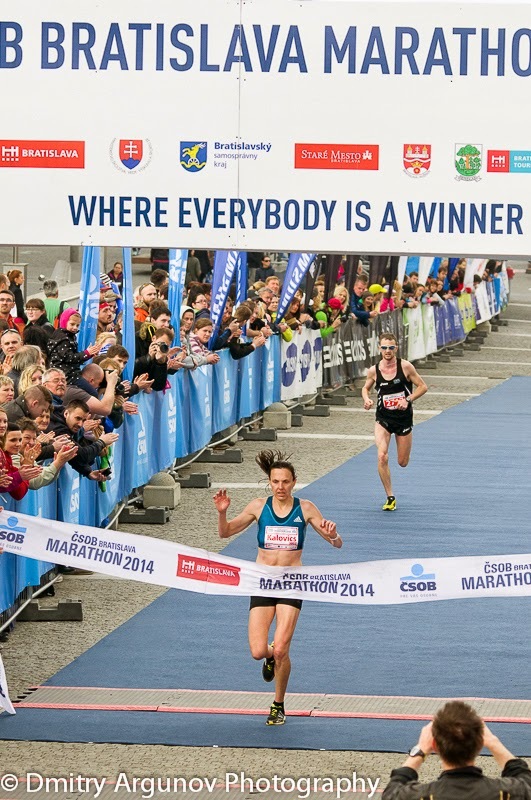 Bratislava, Slovak Republic.